Home Mac tips / Windows Tips How to DNS cache on Windows or macOS? How to flush DNS cache on Windows 8 or Windows 8.1? Hold Win key (windows logo key) and press letter X on your keyboard. Click on Command Prompt. Type sudo dscacheutil -flushcache and hit Return. Type sudo killall -HUP mDNSResponder and hit Return. Type sudo dscacheutil -flushcache; sudo killall -HUP mDNSResponder; and hit Return. Type sudo dscacheutil -flushcache; sudo killall -HUP mDNSResponderHelper; and hit Return. Every time you visit a website or use any software that has access to the Internet (like Skype or WhatsApp) your browser, or that software, finds out on what actual IP address is the website (or server) that you are trying to access. It then stores this information for future use by creating a record consisting of one IP address and that domain name that points to that IP address is created within operating system. If you want to visit that same website again, the system already knows on what IP address it’s wastes no time trying to find that out saving you time. These records are cached for certain period of time and are called DNS Resolver Cache. Why would anyone want to flush this cache? Well sometimes IP addresses of some websites or servers may change and your DNS resolver cache might still keep the old IP address. This can result in your computer not being able to reach the website or it reaches an older copy of it. In some circumstances the data may become corrupt and accessing some websites might fail. So, cleaning your DNS cache is something you can try doing when you can’t access some site or in case you know that the website’s IP has changed. It’s also very helpful for web developers or web admins when migrating websites to a new server or IP (other way around is by modifying hosts file). How can DNS Resolver Cache data be viewed? 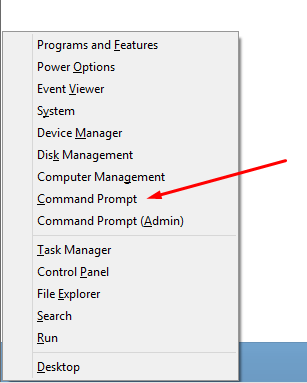 Windows: from a command prompt type ipconfig /displaydns and hit enter. If there is too much data you can save that in a text file using this command: ipconfig /displaydns > dnscache.txt and that will create the dnscache.txt file in the current folder and fill it with the output. Mac and Linux: I don’t know how to do it. If you do please leave a comment. Thank you!